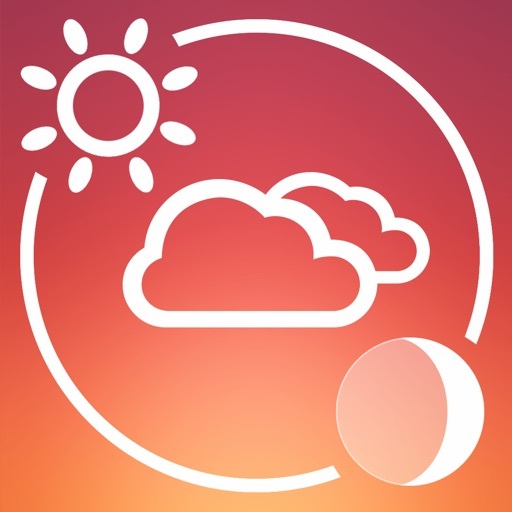 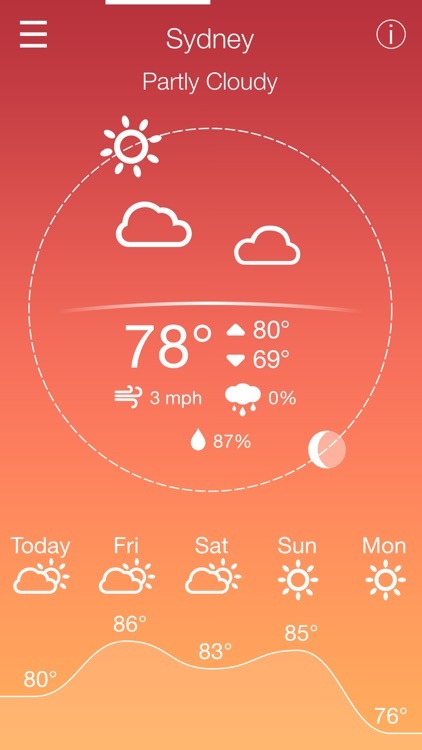 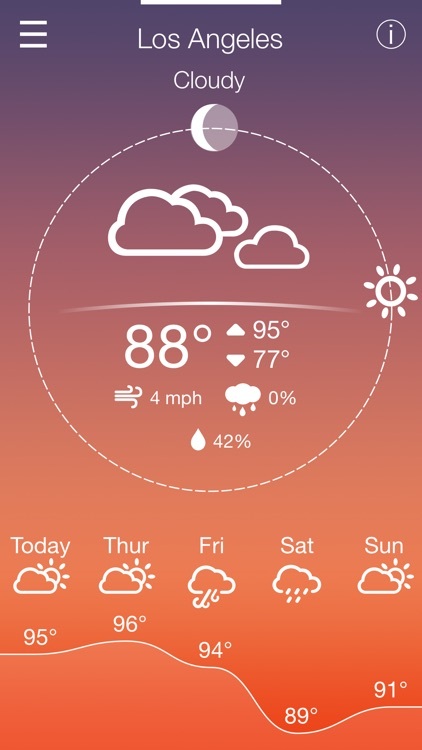 The Cycle Weather app is an effort to design a dynamic user interface that present the user with an appropriate amount of weather data, while keeping it intuitive and simplistic. 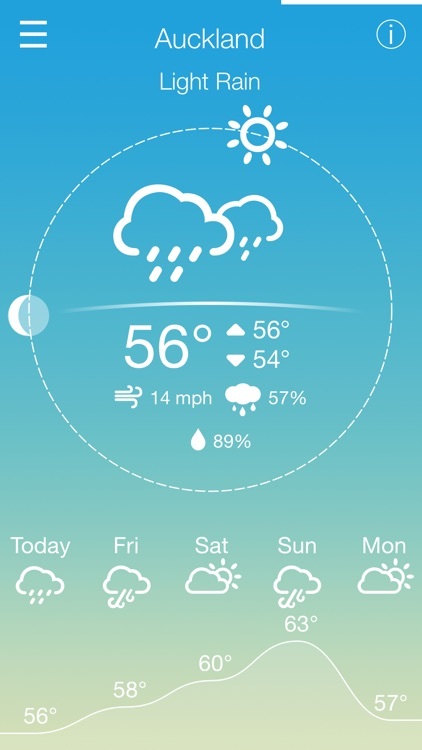 The app gets rid of rows and columns of data and instead communicates weather data through animated visuals. 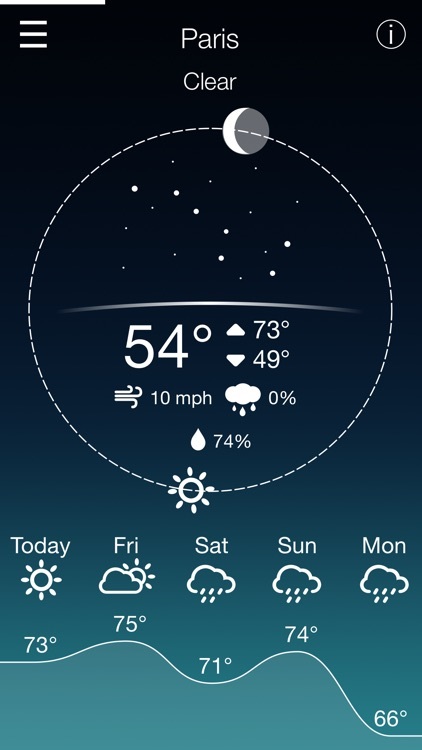 This provides a far more intuitive experience for the user, while still giving clear and complete insight into the data behind the visuals.